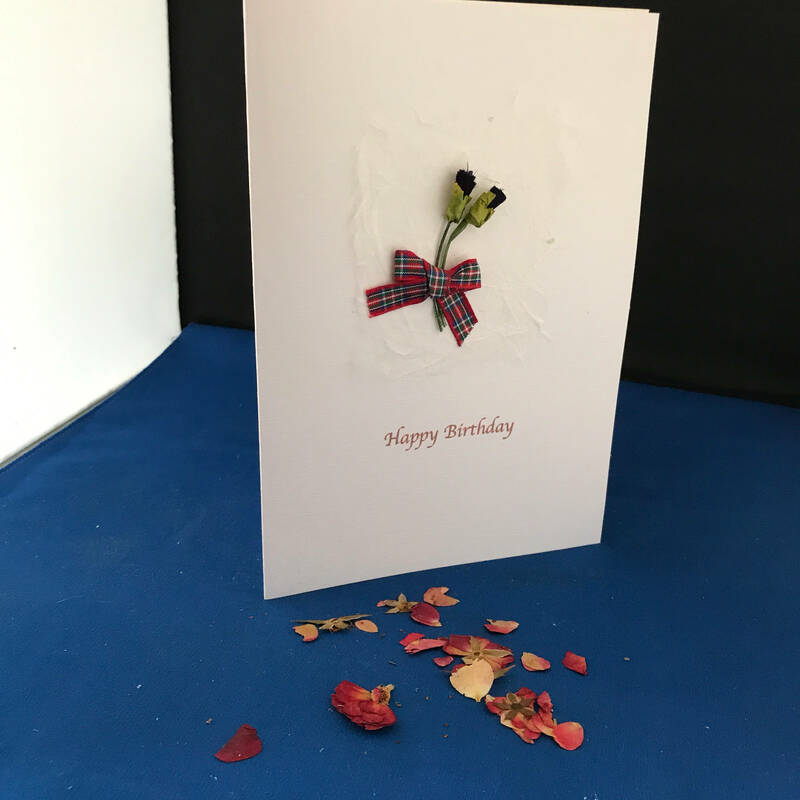 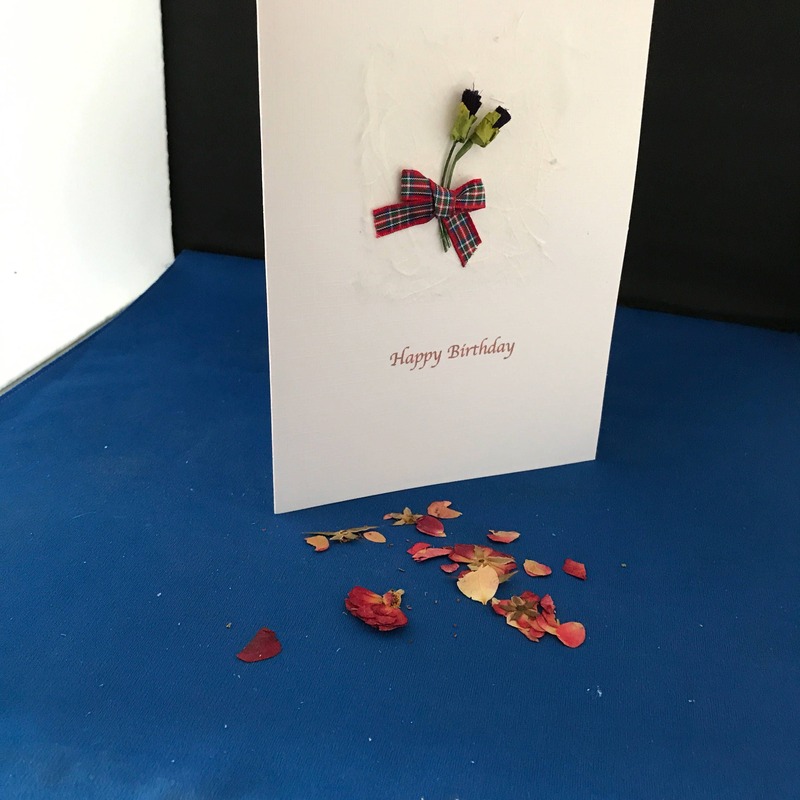 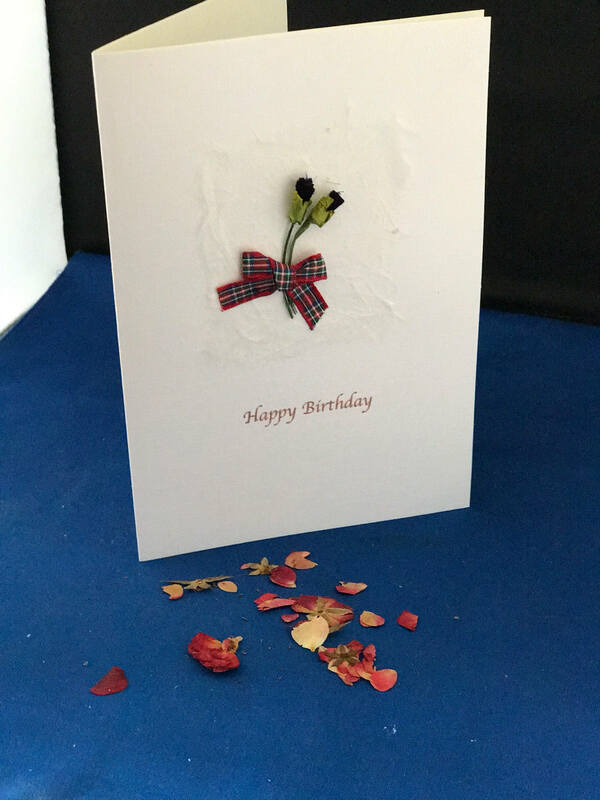 This handmade Scottish thankyou card is A5 size (half A4) size. 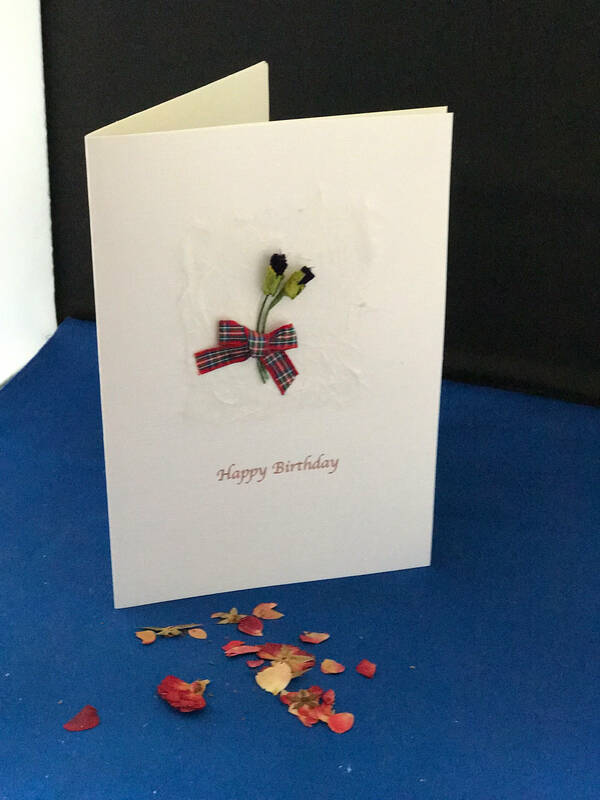 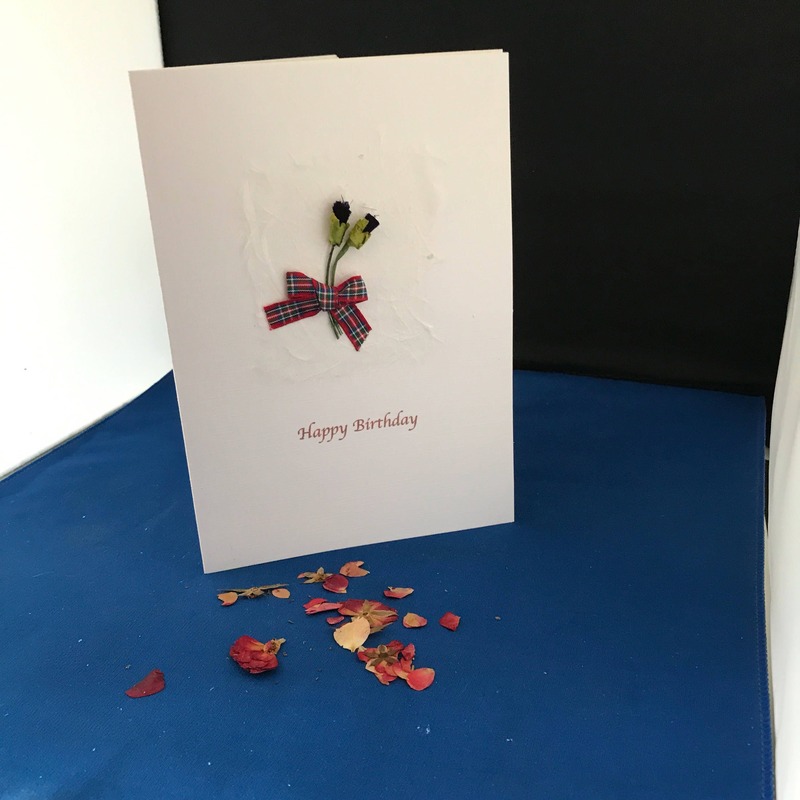 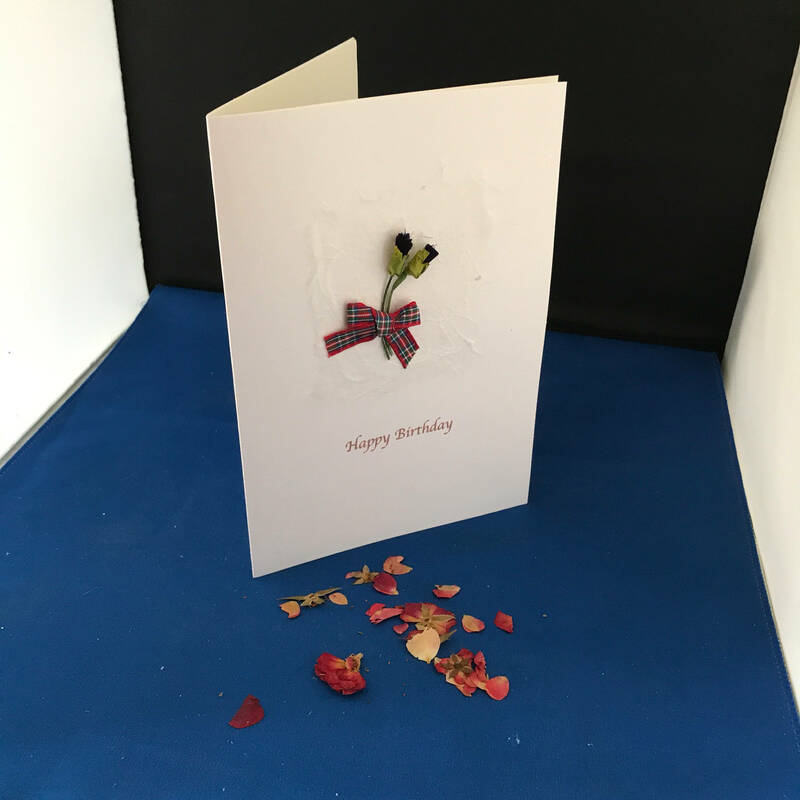 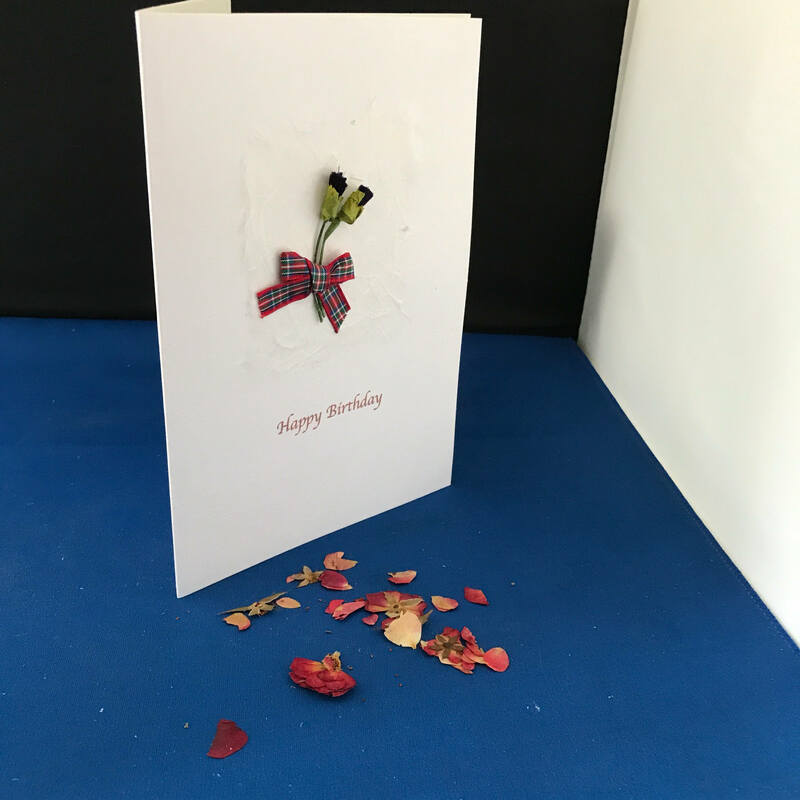 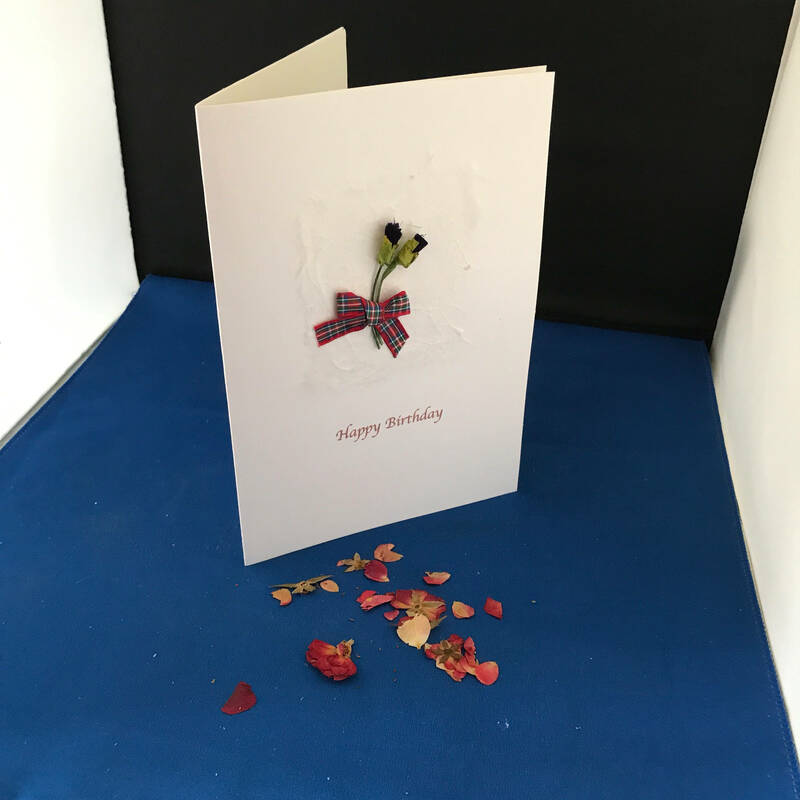 It has two Blue mulberry thistles on the outside placed on top of mulberry paper to give a lovely delicate feel. 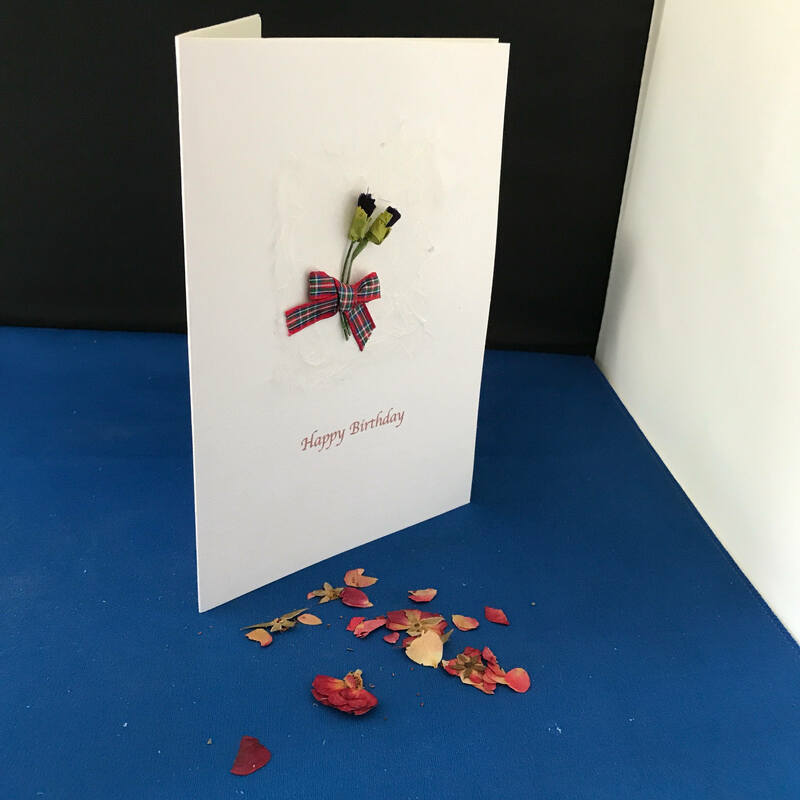 The look is completed with a lovely delicate ribbon and some pressed flowers.